Who has a new line Bill Kelso A2? Discussion in 'Repros' started by Jeff M, Jun 24, 2012. I keep checking out the BK web site photos of their new A2 offerings. They look very tasty. Who all here has received one ? This is a good question Jeff. I too would like to see a review of the new breed of BK A2s. Any sign of your 422 yet? Platon is waiting for the mouton I have chosen, so it could be another two to four weeks wait. With all the threads/interest here, some folks here must have new BK A2's. Come on folks....looking for a bunch of critiques/photos. Various buyers have posted and commented already. This is my one. I can not review it as far as authenticity is concerned, as I've never owned an original, only several ELC. I know BK having had access to original Roughwears and trust them having been able to replicate/copy/reproduce them faithfully, as it does look good when I compare it with pics I've seen. 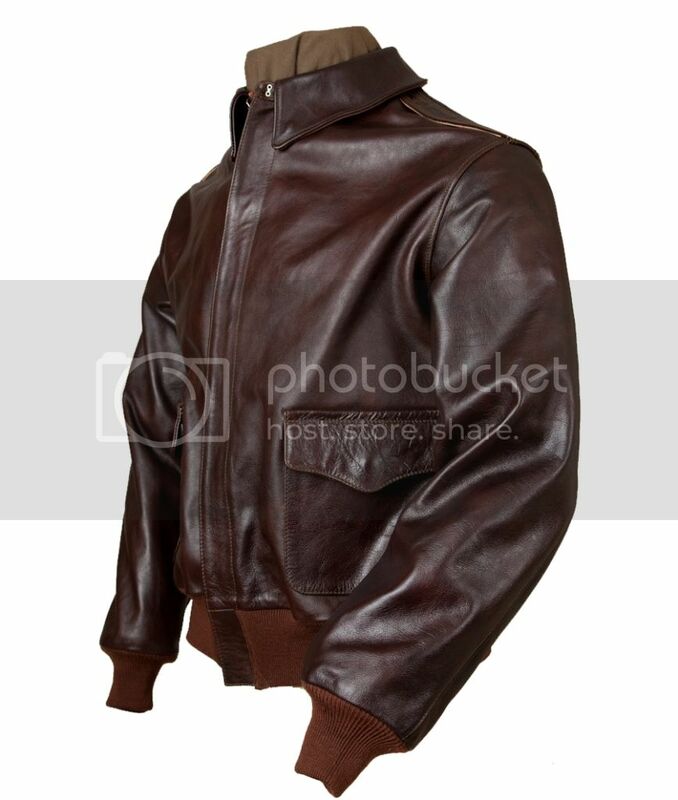 It's fine leather (lively grain, yes that's a bonus that adds to the appearance of a product made of this natural material) that breaks in well, and is comfy to wear right from the start. What with all the threads over the past several months about BK's new offerings, that's what I thought also....until I tried to find actual reviews. Can only find one or two "it's in my hands, here are some photos" threads. I really expected many many more given the excitement and the short time to delivery between ordering and receiving. Seems there are more threads about foiks receiving their new GW's than BK's...and that's despite the lengthy waiting list John has. I am really pulling at the bit to order one....but......where are they? Is this Seal Brown or Dark Seal? The colour of the leather looks really nice. And what contract is this? Or just BK house jacket? I supplied vintage mouton for mine. But some of his mouton looks good. Someone picked up a bargain for under $400 on the weekend. They do look impressive. With the labels sorted I think these are only going to get better and better..
OK gang, lets not get distracted. There are other threads dealing with the M 422. That's one thing that makes searching the old BK threads to see who has a new A2 more difficult that it should be...conversations diverting to other items/topics. To keep on track, this thread is trying to find those folks who have received one of the new BK A2 offerings. This is seal brown, it's a Roughwear with Kelso's everything upgraded stuff (a high quality Talon repro, united carr pocket and collar snaps, new lining, new 27752 label). That's a nice lookin' jacket! 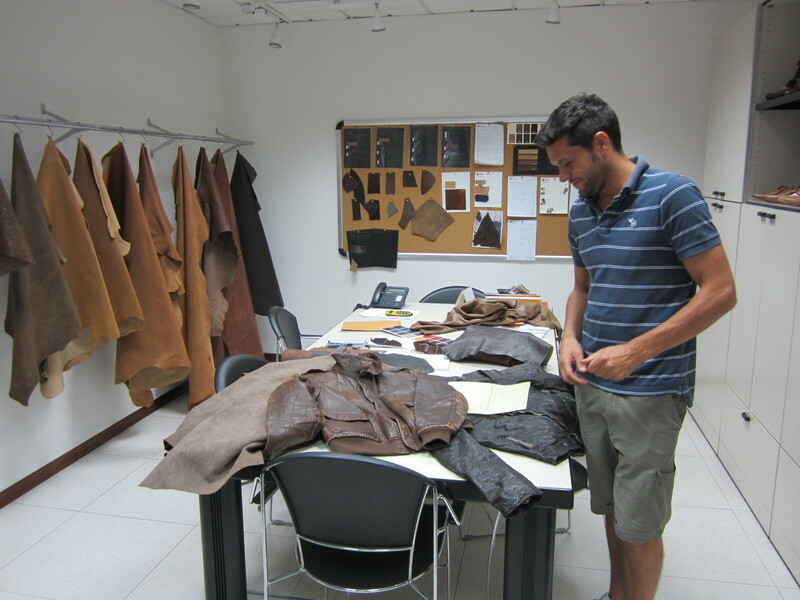 I am writing this from Tuscany Italy where I came to find new horsehide for Bill Kelso. 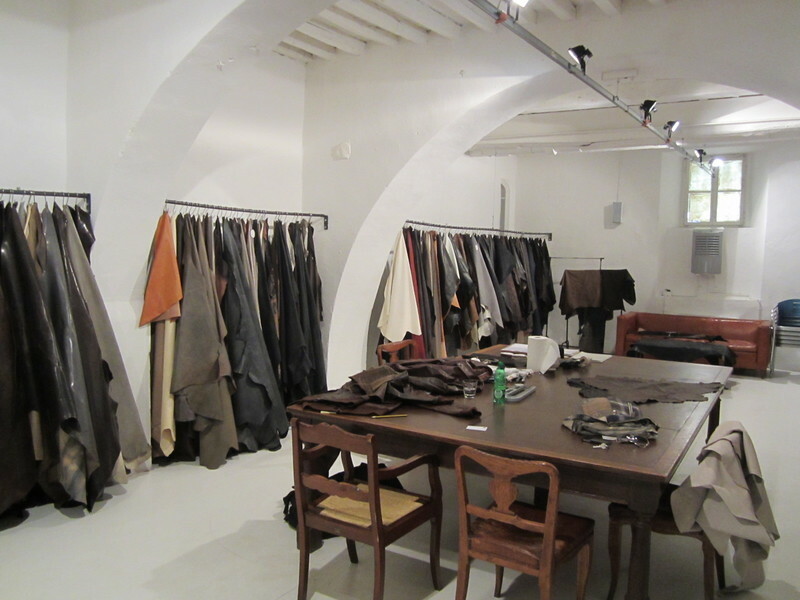 this is a photo from the showroom of one very old tannery, the best in the world in horsehides. that I brought for samples. Tuscany is beautiful, love it. Look forward to the Dubow. Monk, I see that you posted on a Bill Kelso thread back on May 17th that you placed an order for a BK Dubow.